Major work on Metro tracks could leave customers delayed on the Orange, Blue and Red lines this weekend. The long list of work includes escalator and elevator repairs, track upgrades, cable installations for cell phone service upgrades, and platform repairs at various stations. There will be no service on the Orange Line between Stadium-Armory and New Carrollton stations and the five stations in between (Minnesota Ave, Deanwood, Cheverly, Landover and New Carrollton). On the Blue Line, there will be no service between Stadium-Armory and Benning Road stations. But the Benning Road station will remain open. 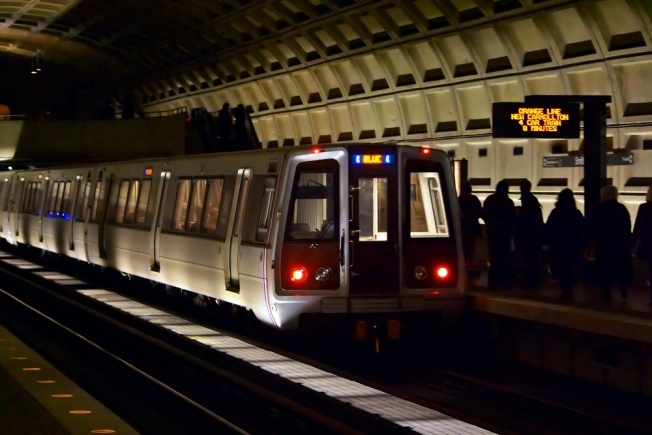 Metro said repairs on the Orange and Blue lines could cause up to 40 minutes in delays. To help riders get through the work zone, Metro will operate free shuttle buses around the closed stations. On the Red Line, trains will share one track between Friendship Heights and Medical Center. Red Line trains will also share one track between the Takoma and Forest Glen stations. This work could cause a 20 minute delay for customers. Each of these repair projects and station closures will begin Friday at 10 p.m. through Sunday. Normal service will resume when service starts Monday morning..
Metro said the repairs are part of its six-year, $5 billion Capital Improvement Program. For a complete list of repair work for this weekend: click here.